Wow, thanks for being so generous! Yay, so looking forward to this book. This book looks so good. I'm really excited to read it! Thanks for the awesome contest! 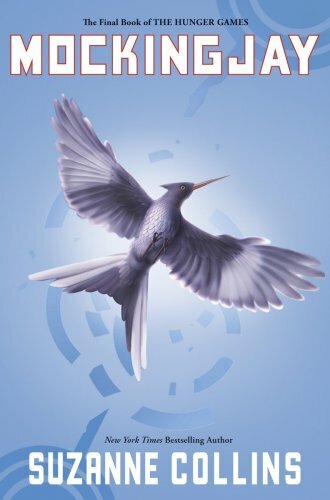 I am dying to read Mockingjay. August is much too long away. And congratulations on your followers, 456 is an awesome number. But 500 is even more awesome, so here's hoping you reach it soon! Thanks for the giveaway!! I can't wait for this one!! Whoa, you're too awesome for words. Honestly. Oh and I'm entering..... :D Thanks! Awesome giveaway! I filled out the form. Thanks so much! Super Funsies! : ) lol. Really, thanks for the giveaway. I can't wait to read these (I'm secretly waiting until around when Mocking Jay comes out to buy & read the entire series together... unless I can't help myself before then, lol).